Current Status of Lawsuit: The Beacon Center was victorious as the state legislature temporarily repealed the licensing requirement for animal massage. Have you ever worried that the government would swoop in one day and take away your livelihood? Or demand you immediately shut down the business you have built? Probably not. Neither did Martha Stowe and Laurie Wheeler, until it happened to them. Martha Stowe has been around horses for as long as she can remember. 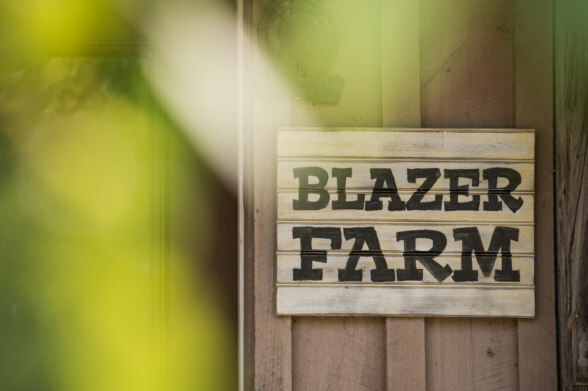 She grew up working with the horses on her grandparents’ farm in Colorado and has run Blazer Farm in Franklin, Tennessee for nearly two decades. Martha went for a massage several years ago to treat an old neck injury she sustained in a horseback-riding accident. It was then that she encountered a new technique called Myofascial Release, or MFR for short. MFR is a safe and very effective technique that involves gently applying sustained pressure into the connective tissue. The massage alleviated pain that multiple surgeries and therapies had not so she started researching the practice. Through her research, she discovered that MFR was also very beneficial to horses, so she decided to take a certification class and start using the technique on the horses at her farm. The results were astounding. During that time, Martha’s husband was unexpectedly deployed to Iraq, and she was left to care for their family on her own. Martha began offering her services to horse owners in the area and before she knew it her business took off. Martha soon became the primary breadwinner in the family. Laurie Wheeler met Martha through the horse community. Laurie was a jazz musician for most of her life, but she always loved horses. When a friend of hers found an abused and abandoned horse in a field near their home, Laurie agreed to adopt him. She brought her horse Jazz to Martha for massage therapy and boarding, and she saw firsthand the healing effects the therapy had on her horse. Laurie decided that she wanted to learn this technique as well and began completing certification classes to work on horses. It wasn’t long before her friends were asking her for massages too. Laurie made the difficult to decision to go back to school, and she and her husband scraped up the money to pay for her education. After a grueling schedule and more than eight months of intensive work, Laurie graduated from massage school and sent in her licensing application to the state. 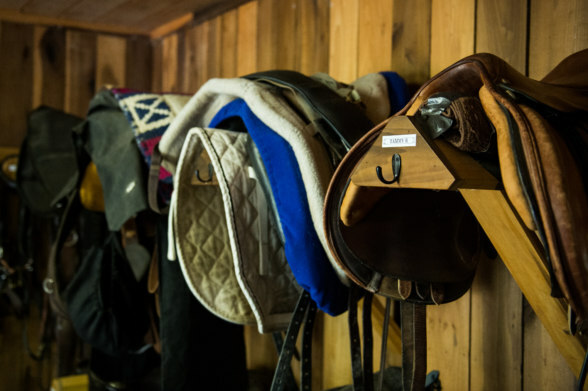 In her application, she included references by Martha and from a veterinarian she had worked closely with while providing massage therapy to horses at Blazer Farm to showcase her experience in the field. Shockingly, instead of receiving her massage therapy license, Laurie received a cease and desist letter from—of all agencies—the state Board of Veterinary Medical Examiners. The letter informed her that animal massage was considered practicing veterinary medicine, and she was illegally practicing it. Martha Stowe also received this letter. Both women were dumbstruck. Laurie was unsure of whether or not she would be able to receive her license to massage humans, much less pursue her love of working with horses, which she had trained so long to do. Martha had no idea how to provide for her family or how the government could shut down the business she worked so hard to build. It turns out that a couple of years ago, the Vet Board quietly, and despite the absence of consumer complaints, passed a regulation that defined “animal massage” as a form of veterinary medicine. Now the Vet Board has used this little-known regulation to shut down these hardworking women’s businesses. At the time, Laurie had only worked on Jazz and a few horses on Martha’s farm on a volunteer basis. She told this to the Vet Board, thinking that would change their minds. It didn’t. They told her there were no exceptions, even if she hadn’t gotten paid. In essence, the Vet Board’s policy means that rubbing your neighbor’s dog on the couch is practicing veterinary medicine, punishable by fines and even jail time. Massage therapy is a practice that dates back to biblical times. Evidence of its use has been found in many ancient civilizations including Korea, Japan, India, Egypt, Rome, Greece, China, and Mesopotamia. The practice is sought for a multitude of reasons that include, but are not limited to, rehabilitation for injuries, increased relaxation, preventative care, sleep aid, pain reduction, stress release, detoxification, prevention of ageing, reduction of fatigue, alleviating anxiety and depression, and increased blood flow. A counterpart of the massage therapy industry that is less widely known, but dates back just as far, is the practice of animal massage. This is an industry that has increased in size quickly over the past decade. The practice is most popular with canines and horses, but can be applied to any animal, and offers many of the same benefits for animals as it does for humans. The popularity of this field only promises to increase as more and more pet owners are becoming informed of its benefits. Additionally, an overall uptick in interest in holistic healthcare in the U.S. has led many pet owners to seek similar, natural treatments for their animals. The American Holistic Veterinary Medical Association has grown from an initial membership of just 35 in 1982, to almost 1,0000 members to date. That being said, just as massage therapy is no substitute for a human doctor, animal massage is not a replacement for a veterinarian. Nor would any animal massage practitioner claim that it is. Rather, it is a practice that comes alongside the work of a doctor and assists in improving the overall health of an animal. Massage is an incredible supplement for healing, enhancing recovery, treating chronic diseases, and rehabilitating injuries, one that doctors frequently recommend for both humans and animals, but it is no substitute for medical attention when required. That is why Martha and Laurie work in conjunction with the veterinarians in their area, who frequently refer their clients to Martha and Laurie, and the ladies calling on the veterinarians when an animal’s needs are outside of their expertise. Martha and Laurie are both certified to practice equine massage therapy. Neither of them care to practice medicine or become a veterinarian. Similarly, most veterinarians are not trained in animal massage, nor do they want to spend their time practicing it. In order to obtain a vet license under this new rule, Martha and Laurie would have to go back to school for four years, with tuition costing upwards of $200,000.And even then, veterinary schools are not even required to teach animal massage. The field of veterinary medicine is completely different from the field of animal massage. Just as one would not expect a physician to perform massage therapy on their patients, veterinarians are far too busy and overqualified to spend their time administering massages to animals. Coupled with the fact that they aren’t even trained in the process, this is why most vets prefer to send their clients to a certified animal massage practitioner when the need arises. If a person is unable to become a veterinarian, or does not wish to, then the only other means of them pursuing a career in animal massage is to work directly under the supervision of a vet. This severely limits the number of clients that they can see. Many animal massage practitioners, especially those in the equestrian field, travel hundreds of miles and make house calls in rural areas in order to treat their clients, whereas veterinarians typically operate their practice in a town, do not make house calls, and are unlikely to have clients outside of a 50 mile radius. This also takes away the autonomy of the massage practitioner. They are no longer able to work for themselves, build their own business, or set their own hours. They are also unlikely to be paid as much for their work by a veterinarian as they would from a direct client-patient arrangement. And much of what they are paid would have to go to the vet who supervises them, cutting into their ability to make a career out of massage therapy. As much as this law hurts the animal massage practitioners, it hurts their clients more. This law means that animals, specifically those in rural areas, are far less likely to receive timely care when they need it. Veterinarian visits are very expensive, especially for larger animals, and house calls are astronomical. It is unlikely that an owner can or will call a veterinarian for small matters such as soreness or flexibility, which is shame considering that the practice of massage can make such a drastic difference in an animal’s well-being. Both the U.S. Constitution and the Tennessee State Constitution protect the right to earn a living, meaning individuals have a right to pursue a chosen business or profession free from arbitrary or excessive government interference. One of the ways in which that right is impeded is occupational licensing. Sometimes states require a license to do something no one should have to get a license to do. Other times, state agencies will singlehandedly expand their authority by mischaracterizing a routine activity as something that requires a license. Such is the case here. 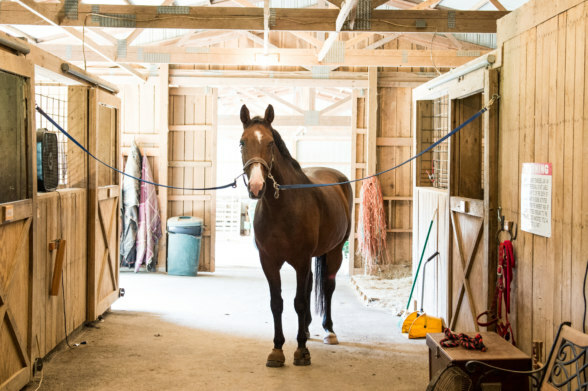 The Tennessee Vet Board has decided that massaging horses is the practice of veterinary medicine, thus requiring a veterinary license. The Board’s letter to Martha and Laurie amounted to a demand that they quit doing their jobs. Both women wish to do nothing more than simply work in a field that they love in order to provide for their families, yet their right to earn a living has been impeded by the Vet Board’s new and arbitrary classification of animal massage. Because of this, the women are in danger of losing their ability to support themselves and their families. The consequences of running afoul of the Vet Board are dire. In addition to crippling civil penalties, practicing veterinary medicine without a license is a crime, carrying up to six months in prison and a $500 fine. To highlight just how absurd this is, it is legal in Tennessee to castrate, artificially inseminate, and shoe a horse (or dehorn any animal)—all without a license, and certainly without a veterinary license. Requiring a license to massage animals is therefore an arbitrary and inconsistent restriction on the liberty to work. Bringing a harmless but profitable practice under the umbrella of “veterinary medicine” is a way of bestowing an economic favor to practicing vets. Further proof of this lies in the fact that the Vet Board will permit an unlicensed person to massage a horse so long as she is employed by, and answers to, a licensed vet. There is no health and safety concern related to massaging a horse, so this is not a legitimate field to regulate. Even if it were, requiring one to attend veterinary school is not a reasonable means of achieving that goal. The Beacon Legal Foundation is representing Martha and Laurie to defend their right to pursue an honest living free from unreasonable government interference. The plaintiffs in this case are Martha Stowe and Laurie Wheeler. They are seeking to practice equine massage therapy for a living. The defendant is the Tennessee Board of Veterinary Medicine. Braden Boucek is the Director of Litigation for the Beacon Center. Prior to joining the Beacon Center, he worked as an Assistant United States Attorney, and before that for the State of Tennessee as a trial and appellate prosecutor. Justin Owen is the president and CEO of the Beacon Center and is licensed to practice law in Tennessee.